On Sunday, the Wall Street Journal published a piece about the hottest piece of swag at the 2019 NCAA Tournament. It wasn’t a t-shirt. It wasn’t an autographed hat either. It wasn’t even anything to do with Zion Williamson. It was a rug. Specifically, a rug on the floor of every team locker room during the tournament. The black mat with March Madness written across it isn’t anything special, but it seemed to go missing in multiple locker rooms after the coaches and players had vacated. At least one stolen mat’s perpetrator identified themselves right away. 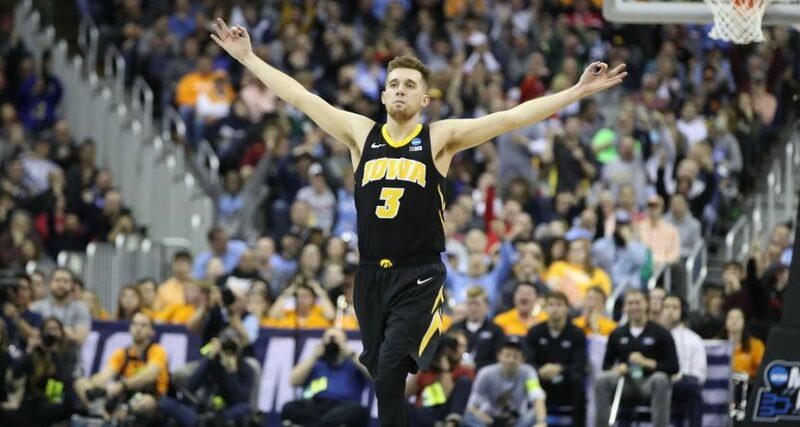 Jordan Bohannon, a junior guard for the Iowa Hawkeyes, responded to a WSJ tweet about the story with a photo of his appropriated mat and a warning to the NCAA if they come looking for it. ‘Give us the ability to make money off our own name and we’ll give you your rug back. You have 24 hours, @NCAA.” A tongue in cheek blackmail attempt for sure, but also, a fair critique about the fact that Bohannon and his teammates probably just generated millions of dollars for the NCAA and their school and will see a mere pittance of that value returned to them. Even if all he was able to take from the tournament was the rug, well, at least it really ties the room together. You had to figure the NCAA would respond in one of two ways. They would ignore it because it’s easier for them to ignore their own hypocrisy whenever possible. Or they would bring down a hammer on Bohannon over a dumb issue simply because they could. When Jordan issued an apology that evening, it appeared that they’d decided to go for the latter. The Washington Post’s Ben Strauss, with a little prodding from Jay Bilas, decided to find out. He spoke with Bohannon, who told him that his apology was the result of a conversation between the NCAA and Iowa’s athletic department, a conversation that ended with Jordan being told to say it was a joke, which it was not. And if you didn’t already think the adults in the room were dumb, they made it even dumber. Bohannon decided to remain a little sarcastic in his apology, which then prompted Iowa to issue a clarification of their own to appease the NCAA. Matt Weitzel, Iowa’s associate director of athletic communications, also emailed WaPo to explain their feelings further. Just in case it wasn’t clear that Bohannon wasn’t actually sorry, his Twitter feed in the days since makes it abundantly clear. He cheekily called out former teammate Frank Kaminsky over some memorabilia he took during Wisconsin’s Final Four run (Jordan’s brothers, Jason and Zach, both played for UW). He also retweeted Jay Bilas’ defense of Bohannan’s initial argument as well as other people talking about the inequalities in college basketball and the debate he’s boosted. Jordan also said as much to WaPo to drive home that his initial tweet was a joke, but also it wasn’t. Regardless of what the NCAA and Iowa might prefer, they’re going to keep writing about it, too.